I put off reading this one for so long! I have to admit, I was a little prejudiced. I had heard it was originally self-published, and I don’t generally read many self-pub/indie books. Turns out, this one actually wasn’t too bad! 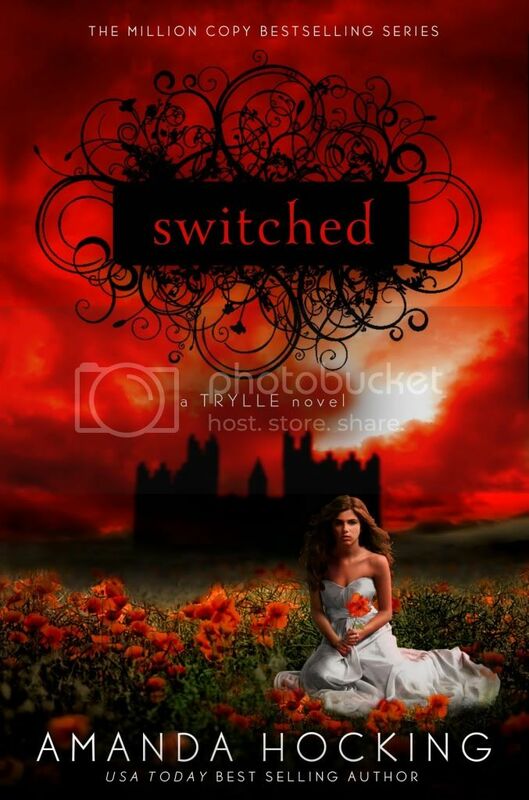 Have you notice that among the dearth of YA paranormal novels there’s one (humanoid) paranormal that is very often overlooked? Seriously, guys, where have the elves gone?! The closest books all feature Faeries (The Iron Fey by Julie Kagawa and the Wicked Lovely series by Melissa Marr, just to name a few.) I really love faeries so I’m not complaining, but how did elves miss out on all the fun? One of the problems with elves is that they’re pretty unemotional. I’m not sure they could manage all the angst and drama that seems synonymous with YA paranormal. On the other hand, wouldn’t it be interesting to see a novel about these unemotional elves trying to raise an angsty human (or at least semi-human) teenager? They wouldn’t know what to do! It would be hilarious! On the other hand, take away all that stand-offishness and suddenly it’s much harder to tell the elves from the fae – the main distinction is Fae associate with seasons (Summer/Winter) while the Elves tend to just be high or low (sometimes light or dark). Unless they’re Santa elves, of course, but they’re even rarer. An honorable mention for the “overlooked humanoid paranormal” goes to Leprechauns. They’re probably used less, but I really can’t imagine a novel with a Leprechaun protagonist (unless it’s Artemis Fowl type LEP-recons). I’d totally read it though! What is it with me and picking action-y movies lately?! Geez! The thing with Bond is there’s a halfway decent story there under all the car chases, shooting people and blowing stuff up, and that is why I watch them. I’ll admit, I tune out most of the action. I make a point of having some knitting or something in my lap for precisely that reason. Unfortunately that does mean I miss some things. But I get the gist – why would I need to watch the fight scenes? I know who’s gonna win in the end! The thing that struck me this time was the symbolism. Sometimes it hits you over the head with a mallet, sometimes it’s more subtle. 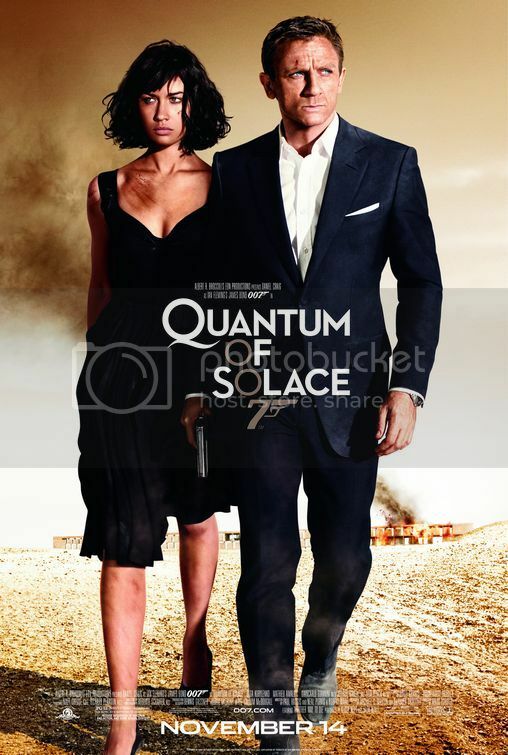 One of my favorites is as we meet Camille – the Bond girl of the flick. I knew right away that she would be the one to “save” Bond emotionally. If you look closely, there are several shots of her from behind. There’s an odd scarring pattern between her shoulder blades – later we find out it was from a fire she lived through as a child. Look at it symbolically, though, and the placement of the scarring suggests a loss of wings, a fallen angel, if you will. That symbolism is only strengthened by the fact that their escape boat is called “Gardien les etoiles” – French for Garden of the Stars. So, of course, knowing the lore of the first fallen angel, I’m sitting here wondering when she’ll betray him. That’s a fairly common trope among Bond movies, so it’s not too big a leap. It’s not until later that we discover the symbolism being used isn’t exactly fallen angel, but rather a broader loss of innocence when she acquired the scars. Besides that, I was pretty “Eh” about the movie. It was decent, had a decent plotline, and certainly had enough action to satisfy those who watch for that sort of thing. Me, I’m just in it for the clever, mysterious parts. Monday I complained at the gore in the movie Looper. 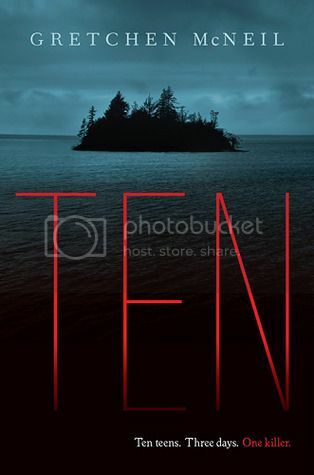 Tuesday I reviewed my first horror book, Ten. 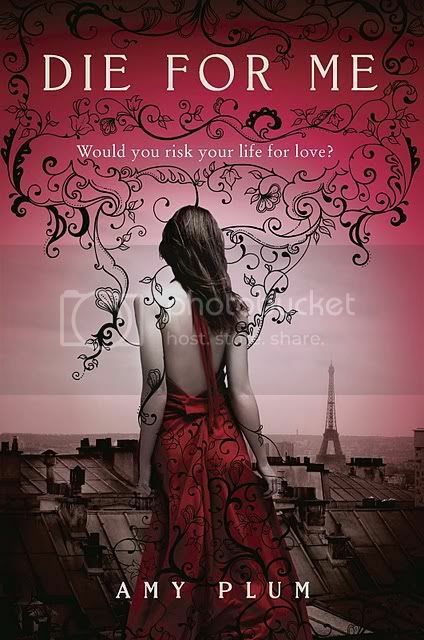 Wednesday I put living in Paris on my bucket list. 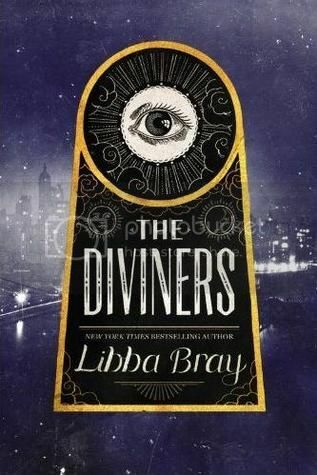 Thursday I reviewed The Diviners. Discussion Day: Do you write in your books? A few weeks ago, a bunch of my college friends and I got together. As often happens, the “party” degenerated into everyone sitting in the same room silently reading. One of my friends sat down with Harry Potter and the Order of the Phoenix (obviously re-reading) and *gasp* pulled out a PENCIL! I was a little bit horrified, I have to admit. When I asked her about it, she told me she has been passing her copies around to all her friends and asking them to re-read and annotate in the margins. Asking them to write in her books! I cringed. In high school, I was much more tortured by this issue than I am now. I had several teachers who actually required us to highlight passages in our books for English class (Ayn Rand’s Anthem was a particularly horrifying experience for me – we were required to highlight in 4 different colors AND underline passages in ink! *shudders*) While I can understand the reasoning behind the assignment it still makes my skin crawl and my teeth itch. Those marks will now be in that copy FOREVER – what if I screwed up and marked the wrong thing? As someone who gets most of her books from the library, I’ve had “No damaging books!” drilled into me for a long time. Even writing in music is difficult if it’s not in pencil (I had one flute teacher who required us to have a set of markers to write on the music with because “it makes you play differently when you see that color, and you’ll notice it better!” I’m sorry, but I’d rather write the name of the color in pencil where it’s supposed to go than scribble illegibly in marker. But that’s just me.) The words or notes on a plain page are a kind of beauty to me, and I worry that my words are defiling that beauty somehow. Plus, what happens when the margins fill up? The thing I don’t get about myself? I am PERFECTLY OKAY with a small dogear on a page of something I really liked, as long as it’s my own book. This too is defiling the book. Why am I okay with that, but NOT with writing? I know I’m probably in a minority here. Annotating is a great idea, especially with something you know you’ll read a lot – you can keep track of your changing opinions and remind yourself of your favorite parts. And after all, it is your copy, and you can do with it as you choose. Isn’t that why you bought it in the first place? And yet, with all these reasons for writing in your books, I still can’t bring myself to do it. Do you write in your books? Do you have pet-peeves about how others treat books? Holy crap is Diviners a big book! It was so intimidating that I kept putting it off, worried it would be just too hard to get through. Silly me – it wasn’t hard at all and it was a fabulous read! Let me say up front: I don’t do well with horror. I hate horror movies and can only barely manage the gore in crime dramas. I still have nightmares about the one snippet of one of the Hostel movies I was forced to watch in my Pop Culture class. So why I thought Ten would be a good book for me? I haven’t the faintest clue. Even so, I’d say Ten was fairly well written. I liked that the majority of the characters (except the first ones to die) were fairly well rounded – I really believed that they could each have a motive. I also really liked that there was a mystery to it. It wasn’t just a straight up horror where they know exactly what is after them, and why if there is a reason. I had no idea who was behind it until the very end when it was revealed and I would be very surprised if anyone did. That’s just the way it’s written! So, even though this was an unusual genre for me and I wouldn’t call it a favorite by a long shot, I thought the book was very well written. If I can find myself enjoying horror, then it must be good! Warning: This movie is rated ‘R’. OH MY GAWD! SO MANY DEAD BODIES! There is a reason this movie is rated R and it ain’t the sexin’! So, here’s the thing. As a sci-fi geek I can definitely appreciate the story. Time travel is a very trick thing. 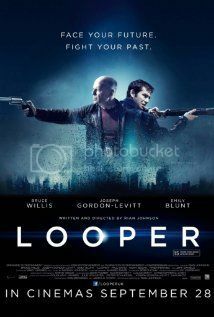 Looper explores the intricacies and difficulties inherent in time-travel as a plot device. It does a pretty good job too. Though they never officially take the time to explain their kind of time travel, it’s pretty clear they’re using a kind of linear displacement – once you’ve gone back in time what you “remember” of the future can change, because you’re around to change it. This gets kind of confusing at the end though – I say a “kind” of linear displacement because they seem to also use elements of a circular theory (I suppose kind of necessary in a film called “Looper” lol) in that events stay essentially the same unless someone REALLY makes an effort to change them. Anyway, back to the thing, before I got on a tangent admiring the time travel. I get that they’re making a point. I think it’s a good point to make. I just think it could be made just as well without all the gore and some of the violence. It was so bad that several times I found myself thinking “Okay, now you’re just going for the shock factor.” I mean, seriously, a kid with blood practically painted on his face, even though he wasn’t that close? Unrealistic, but it’ll sure get people to pay attention! So, in the end, I can admire this one from an academic standpoint. Do I ever want to see it again? Not on your life!